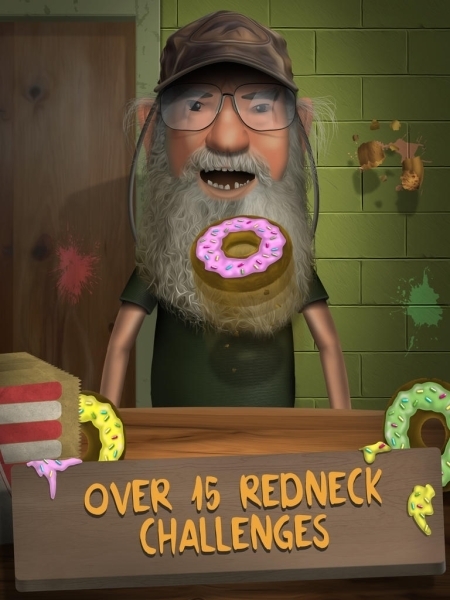 Given Duck Dynasty's popularity on the A&E channel, it should come as no surprise to find that the four bearded brothers now have their very own mobile game. Titled Battle of the Beards, it's a game that works in a similar way to Nintendo's Wario Ware games, where you take on a barrage of mini-games. Complete these and you're rewarded with coins which you can use to buy items for your character, or convert him from a mainstream yuppie to all-out redneck - complete with a truly epic mustache and beard. The game is fast-paced and contains a decent collection of mini-games, which range from shooting animals, to blowing up river damns and sheds, to messing around with the brothers themselves. The difficulty - or "intensity meter" as it's called here - picks up with each new round as well, so you'll need to stay alert. You're also given some good customization options, with various outfit and facial hair choices to unlock. 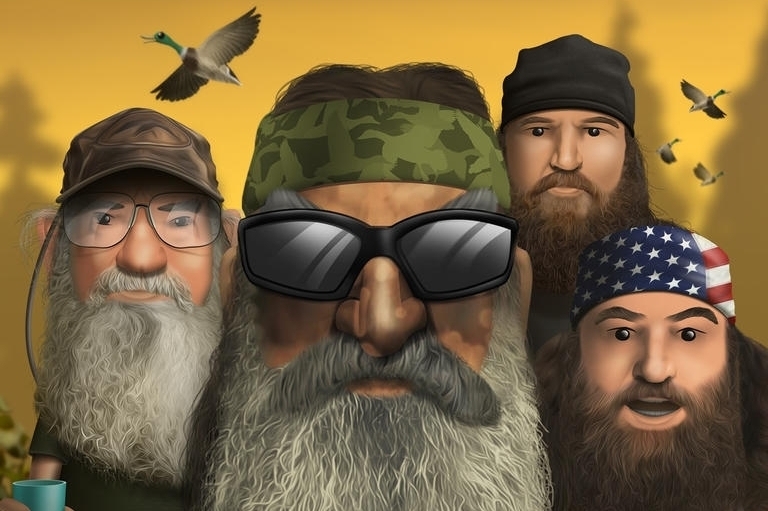 Duck Dynasty is an acquired taste, so if you're not a fan of the show you might not have much interest with Beards. Some of the mini-games may leave you a little queasy too, so if you're not a fan of picking berries out of squirrel poop, or gathering frogs for a pie, you might want to give it a miss. In addition, the mini-games tend to repeat a bit more often than they should, and one game repeated on us twice in a row. A little more randomness in the delivery of these quick-fire games would have been very welcome. Only dedicated fans are going to feel immediately at home with Battle of the Beards, but those who love the show - or are just in the mood for a silly throwaway mini-game app - will find much to love regardless.